Could the rumored acquisition of Accenture by Oracle be the winning blue-ribbon tool for rotating businesses into digital models? This morning’s news in the UK’s leading IT publication, The Register, announced that Oracle has hired specialists to conduct due diligence on synergies and impacts of Oracle acquiring Accenture. Obviously, the feasibility study is at an early stage, and neither of the giant companies is commenting on the news... and it might not happen. But what if it does? Why would the two firms be interested in this bold move? Obviously if the leading software firm and the leading services firm were to combine, it would have an enormous impact on both industries, no matter their intent. But in pairing the two giants, both Accenture and Oracle would demonstrate that they recognize the need to accelerate their shift into digital business models. The shift to digital is more difficult than traditional business transformation initiatives because it requires changing a company’s business model. As many firms are discovering, it’s best to ally with a strong partner and not undertake this difficult journey alone. Oracle has already been relentlessly driving its business into digital and investing in IP assets such as its November 2016 acquisition of NetSuite. Part of this investment focus has been with Accenture. In 2015, the two formed a business group to help customers move into the digital world. And in the fourth quarter of 2016, Accenture became the first cloud managed service provider across Oracle’s public cloud, providing Infrastructure-as-a-Service offerings. So, the two giants already have a successful track record of working together to address customers’ needs. Cultural obstacle. Accenture’s culture focuses on its people. Oracle’s model focuses on intellectual property. Customers may be concerned about the melding of the two cultures. Could the acquisition motivate Accenture’s consultants to exit the business? Debt obstacle. Oracle currently enjoys a net cash position on its balance sheet. But the acquisition would mean Oracle would need to take on substantial debt. Digital power. As I mentioned earlier, digital transformation is more difficult than traditional transformation initiatives because it requires changing a company’s business model. This struggle is the primary barrier to enterprises migrating to digital. 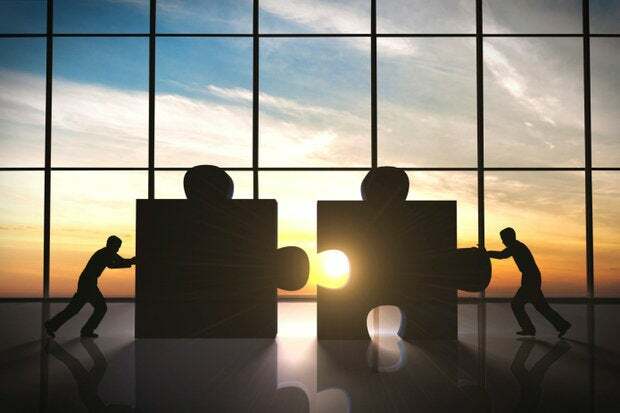 The acquisition would make the giant new firm a powerful leader in helping enterprises make the change to digital business models. Vendor lock-in. Customers may be concerned about vendor lock-in. Accenture historically has taken a technology-agnostic approach in its offerings, and the acquisition would end this objectivity. However, digital models are increasingly about outcomes, so there is less concern about needing a multi-vendor environment. Customers are looking for strong partners that can help them achieve game-changing outcomes that drive market share and competitiveness. Oracle already has a significant services and consulting business running alongside its software business. But the acquisition of Accenture would take the pair to a scale and level unseen to date. Of greatest importance: together, their ability to drive end-to-end digital transformation would be unrivaled.